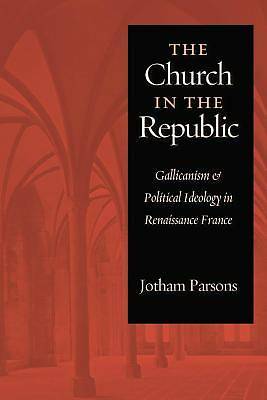 The Church in the Republic offers a new interpretation of the relationship between religion and politics in Europe at the dawn of the modern age. Its main subject, the theoretical and political contest over the liberties of the Gallican Church, was one of the great political issues of early modern France. This debate raised basic questions on the nature and origins of authority within human institutions. It shaped the way French Catholic magistrates, laypeople, and clergy understood the state and their own places within it, and was followed closely in England, Italy, and beyond. political thought of two of its most influential participants: the lawyers and judges of the French sovereign courts, and the bishops and other prelates of the Catholic clergy. Jotham Parsons shows that the Gallican controversy began with an attempt by humanists to understand society as based on contingent, historical custom rather than immutable divine justice. Under the pressures of political and religious conflict, this theoretical commitment developed into a powerful political ideology. At the same time, the Tridentine Reform was reinvigorating France's Catholic clergy intellectually and organizationally. French bishops could thus counter what they saw as an attack on their proper jurisdiction with a vigorous and successful bid for increased authority within the royal state. for politics for the remainder of the Old Regime and were highly influential around Europe. This book presents an enlightening examination of the ways in which Renaissance humanism and the Catholic and Protestant Reformations interacted to create the modern state.